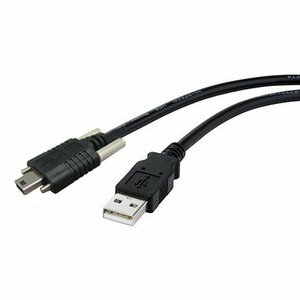 3-meter USB2.0 cable screw lock for USB2.0 camera. 3-meter USB2.0 cable screw lock for USB2.0 camera. High quality and approved by Daheng Imaging.